INTRODUCTION Coworking is one of the most controversial topics in global real estate circles. Coworking spaces in London are accounting for between 10-20% of leasing activity. WeWork, now London’s largest private tenant, has a valuation larger than any office REIT. But, where will the model expand next in Europe and what does it mean for traditional office space? We launch our European Coworking Hotspot Index to look at where next for this quickly evolving market segment. THE EVOLUTION OF COWORKING Technology is changing the way we work and the way we structure our businesses. The introduction of mobile technologies and cloud computing has made agile working easy and popular. Technology has also collided with the trends of globalisation and the digital economy to result in the growth of self-employment. Wi-Fi, cloud sharing services and video calls mean that people can work from anywhere at any time. Technology has made freelancing much easier – whether finding work through online platforms or being able to live a more nomadic life while doing remote freelance work. We believe this shift towards self-employment will result in fewer large firms and a larger number of small firms. Moreover, the costs of sharing and transferring information have reduced considerably and resulted in a splintering of value chains. We have witnessed a significant trend towards outsourcing and subcontracting which favours the growth of freelancers and small to medium companies. The list of tasks amenable to outsourcing and contracting is virtually endless, and most are not place or geography dependant. Does this mean that coworking is likely to grow everywhere? Our research suggests the answer is more complex. Demand for coworking is nuanced and is not evident in all cities or office markets. Across Europe, coworking is currently concentrated in the major cities but, operators are targeting new geographies including smaller markets. Similar trends are certainly evident across the US, where coworking has grown at remarkable pace driven by strong venture capital funding, and Asia Pacific. We believe that coworking, and flexible leasing solutions more generally, will continue to grow and become a larger share of office space. What is less obvious, is where this growth will occur. What cities will become the key coworking cities across Europe? This question is the focus of our research and the launch of our European Coworking Hotspot Index. WHAT IS COWORKING TODAY? While coworking has become the buzz word for growth in demand for flexible leasing, the operator offer is technically more nuanced. Tenants looking for more flexible commercial real estate have the choice of coworking, serviced offices; and, for larger tenants the option of managed offices. Coworking has largely been driven by aggregating entrepreneurs and freelancers. While this remains a key source of demand, the segment is increasingly attracting small businesses and companies. This latter demand segment overlaps more directly with the more mature serviced office sector which was launched by IWG plc (formerly Regus) back in 1989 in Brussels and is now operating in 106 countries. Irrespective of the size of the firm, flexible lease lengths afford tenants the ability to grow or shrink their footprints as needed, providing options not typically available in traditional office leasing markets. This research piece is focused on understanding the factors which drive demand for coworking at the city level across Europe. By understanding where coworking is likely to go next, landlords and operators can be on the front foot with respect to rethinking the design of their traditional office space. We expect the repositioning of traditional offices to be more of a requirement in some cities than others. coworking /ˈkəʊwəːkɪŋ/ noun the use of an office or other working environment by people who are self-employed or working for different employers, typically so as to share equipment, ideas, and knowledge. COWORKING* THE GROWTH STORY Coworking is not a new concept, but its fast growth in recent years has quickly disrupted global office markets. We currently track 11 million sqm of global coworking space, serviced offices and managed offices. interest, not because of its current share of office space, but because of its potential to grow and change how people rent space in the future. About 40% of all coworking space is in North America and the rest is split evenly between Europe and APAC. Coworking in APAC has the highest share of the overall office stock at 2.1%. In Europe and North America, the share is around 1.0%. *We use the term coworking, from this point onwards, in a broad sense and include all leasing activity to flexible workplace operators. The sample of flexible leasing activity is too small, at this stage, to split the statistics into coworking, serviced and managed office space activity. Source: Cushman & Wakefield Research *Paris refers to Central Paris, Western Crescent and La DĂŠfense in this report and excludes the suburban submarkets of Paris. New York City and London have by far the largest amount of coworking in the world with over 1 million sqm each. These two cities alone account for 22% of global coworking stock. Coworking has had an explosive recent growth trajectory in the US, largely due support from venture capital (VC) funding. WeWork, the largest global coworking operator, was founded in New York City and its explosive growth has spawned significant VC interest in the segment more broadly. London is Europeâ&#x20AC;&#x2122;s largest coworking market measured by volume of office stock (4.6%) leased by coworking operators. In continental Europe, our estimate of coworking space in most major office markets accounts for no more than 2% of the overall stock. Amsterdam is an exception where coworking is estimated to be c. 6% of the total office stock. Other major cities with over 100,000 sqm of coworking space are Berlin, Brussels, Milan, Moscow, Munich, Paris and Stockholm. The impact of coworking on the London leasing market has been significant. WeWork is now the largest private office tenant which is remarkable. Leasing activity by coworking operators has ranged from between 10-20% of quarterly take up for the last few years, bolstering leasing figuresÂ considerably. Demand from coworking providers is strong among established operators and new entrants. However, the supply of suitable and available buildings in popular locations is relatively tight. Londonâ&#x20AC;&#x2122;s office vacancy rates are low, leaving operators and corporates in direct competition. Coworking has become increasingly important to the office markets of New York and London. Where it will go next is a key concern for market participants in the office sector. Understanding the fundamentals of coworking demand at the city/market level should help coworking operators with their locational strategy and market participants position their response. EUROPEAN COWORKING HOTSPOT INDEX METHODOLOGY The rapid expansion of coworking in London has led many market participants to question which factors underlie the growth of the segment and where may it go next in Europe. To compare the potential for coworking across European cities, we have selected quantifiable economic and real estate market factors which divide into four categories: scale, business environment, people and catalyst. With a better understanding of city level demand drivers for coworking, operators and landlords can be more informed as to what offer is most likely to succeed in cities across Europe and plan their strategy accordingly. largest cities are significantly larger than the rest and it is almost inevitable that coworking in Europe will be heavily concentrated in the largest cities. STOCK Office stock at the city level is an obvious indicator of the potential size of the coworking sector. Central Paris and Central London are the largest office markets in Europe. The scale of the office stock itself offers huge opportunity for coworking operators. BUSINESS ENVIRONMENT The business environment is another key consideration. Businesses want the flexibility of coworking more if traditional leasing is based on expensive rents and long leases. In cities where firms can easily adjust their staffing levels, the flexibility of coworking can help keep firms agile and competitive. Office users would be more open to coworking in cities with an excellent digital infrastructure. Smaller coworking facilities are more able to offer suitably fast internet equal to more institutional office space. The length of a standard lease and the current rental level as a percentage of the European average are key push factors. The index from OECDâ&#x20AC;&#x2122;s study on the strictness of employment protection helps measure how relaxed labour market regulations are in different European countries. Internet speed helps measure the suitability of digital infrastructure in various cities. 1 All companies reporting under International Financial Reporting Standards must account for leases as a financial liability, and a right-of-use asset, since the new standard (IFRS16) came into effect at the start of 2019. Leases are no longer an operating cost, butÂ leases shorter than 12 months are exempt, as are agreements to access services, like those offered by coworking operators. People employed in established organisations or a start-up business can be entrepreneurial. Startups could use coworking space while they grow, and established businesses can use coworking as a “plug-and-play” element to their overall office footprint for their new, project-based teams and contracted staff. Therefore, both early-stage entrepreneurial activity, measuring the percentage of working-age people having a start-up business, and entrepreneurial employees, assessing the percentage of people starting new ventures for their current employer, are selected. These two figures reflect distinct coworking needs. CATALYST Even a city with scale, the right business environment and talented people needs a catalyst for coworking growth. The number of start-ups and accelerators – offering finance and business administrative support to startups – is a great indicator of a city’s dynamism. Spending on research and development (R&D) is another sign of potential growth. Finally, the propensity for a city’s office users to collaborate and be part of an online community is another catalyst for coworking. ONLINE COLLABORATION Collaboration is important for a coworking environment as the business model is based on people sharing and working together. Github is a web-based community frequented by coders. The number of users in the past 12 months as a percentage of overall population is an indicator of how much online collaboration individuals start in each city. Stockholm ranks first in Europe, which is consistent with its tech cluster status. In contrast to its low ICT employee share, Berlin ranks second in Europe for online collaboration, reflecting a vibrant individual-based tech scene. The cities listed below are the most highly ranked European coworking cities according to our research. We expect the demand for coworking to be strong in these markets and would recommend a proactive strategy â&#x20AC;&#x201C; both on behalf of coworking operators and office landlords â&#x20AC;&#x201C; to manage their response. Many other cities across Europe which fall outside of the top quartile of our index could also emerge as interesting locations for flexible office solutions. In fact, in many of these cities we are already seeing a growth in the managed office offer, reflecting demand from more traditional corporate tenants looking for flexible leasing solutions. IN FOCUS AMSTERDAM Amsterdam is a notable example of a truly dynamic office market. It is home to a high number of start-ups for its size. Its entrepreneurial culture encourages collaboration and extends to Englishbased online technical and social media platforms, which many Dutch businesses use with ease. Amsterdam’s city dynamics profile shows the importance of start-ups and small businesses in its workforce. Moreover, Amsterdam has the ingredients to help these businesses grow – accelerators and venture capital funding. IN FOCUS BERLIN Taking an idea and turning it into a growing business is very difficult without support. Entrepreneurs flock to Berlin to access a large, proven network of accelerators and early-stage funding sources. This may seem too pragmatic given Berlin’s allure as a creative city but supporting businesses through the first stage of their life is Berlin’s strength. Berlin’s original pull was its low costs. This is still true compared to London and Paris, but Berlin’s rents have risen strongly in recent years – a by-product of its success. As Berlin’s office market is less focused on a core submarket, tenants looking for low-cost options have a wide selection of suitable submarkets. In the future, Berlin’s coworking space needs to be practical. Fast-growing businesses want to scale-up their office space when needed, but such businesses are likely to be more focused on costs than before. The early days of cheap, ‘underground’ innovation may have passed, but the city’s ability to churn out successful new businesses has made it one of the most established coworking markets. As coworking has matured, operators have been happy to open larger sites. Factory Berlin opened in 2014 and has over 3,000 members across two locations. The operator’s goal is to host and curate a network of leading start-up businesses – a distinct role from being a passive property owner. By organising events, offering digital tools and administrative services they are an active part of the network. IN FOCUS COPENHAGEN Business innovation comes in two broad forms in Copenhagen. First, ICT and life sciences dominate R&D. Second, the city is a centre for creative innovation in fashion, design and film. Coworking has a key role in supporting these distinct sectors. Businesses and public institutions, such as the Technical University of Denmark (DTU), are highly collaborative. Working in shared tech hubs, laboratories, science parks and research centres is common. Meanwhile, creative start-ups have clustered together, often with coworking hubs at the centre. Blox Hub is a 10,000 sq m coworking space for creatives focused on design and architecture, for example. Tailoring space to creative industries is easy for coworking operators and there is already abundant cafĂŠ-style coworking spaces struggling to differentiate themselves. But there can be opportunities for coworking operators willing to experiment by tailoring space to start-ups in more technical and specified fields such as life sciences. IN FOCUS DUBLIN Dublinâ&#x20AC;&#x2122;s city dynamics profile is strong across all coworking factors. Its size, internet speed and R&D scores are slightly below the European average, but all other factors are superior and combine to highlight Dublinâ&#x20AC;&#x2122;s potential as a coworking market. Since the 1990s, Dublin has been a focal point for foreign direct investment and job creation. Many global corporates moved their headquarters to Dublin primarily for the low tax rates. This has fed a high-growth ecosystem of skilled labour and auxiliary start-ups, especially in FinTech. Global operators have a presence in Dublin, but, otherwise, there have been few domestic operators of note. Dublin should be a simple market for operators to crack. Users that baulk at high rents and long leases would look to coworking a cost-effective choice. IN FOCUS HELSINKI The rise of Nokia led to a rapid build-up of skilled labour in tech and telecoms, but the good times ended with lay-offs and the closure of many facilities when Microsoft bought the firm in 2013. Nokia’s huge influence on the city’s job market and national economy has since dissipated. Helsinki’s ICT industry has recovered, helped by the government’s reinvestment plan to support ICT start-ups and keep skilled talent in Finland through their TEKES Digiboost funding programme. Today, Helsinki has an elevated status in the global tech community. It hosts one of the largest tech conferences, Slush, with over 20,000 attendees. It has carved out a niche as a leading gaming community with Rovio (maker of the mobile game Angry Birds) and Supercell (maker of the mobile game Clash of the Clans) acting as magnets in a field of related start-ups. Helsinki’s coworking concepts have a distinct feel. Accelerators or large tech companies often offer space for free, or at heavily subsidised rates, to build relationships with the city’s entrepreneurs rather than profit from the space itself. Startup Sauna is one of the bestknown accelerators, which is open to all. There is room for coworking operators to support this thriving part of Helsinki’s economy. However, offering collaborative space at affordable rates and hosting industry events seems a priority for users, over flexibility of membership or rental terms. IN FOCUS LONDON London is a global leader for coworking space. Coworking operators are growing so rapidly they are in direct competition with traditional tenants and investors for office space. Although coworking is still a small part of the total office market, it has quickly become a practical choice for a large number of start-ups and small businesses. London excels in all but two factors. Internet speed and R&D are weaker compared to its European peers. But London’s factors related to scale – stock, GDP and early-stage funding – are radically better than any other market. And its business environment and catalyst factors are also excellent. London’s sheer size makes it difficult to characterise. There is an abundance of small coworking operators and global brands. There are more start-ups in London than in any other European city, but also more large businesses. Overall, London gives coworking operators an opportunity to target different user groups, experiment with formats and scale-up once they land on a successful idea. IN FOCUS MADRID Spain has been quick to adopt coworking. The wake of the Great Financial Crisis left unemployment elevated and forced many people to freelance. Spain’s office markets also suffered high vacancies through their downturn. As a result, there was no shortage of coworking space in Madrid. Since then, Spain’s economic recovery has been dramatic and much of the informal or “pop-up” space has gone. But the typical, professionally-run coworking space seen across Europe is still common in Madrid. Global brands have increased their operations in recent years. Their focus is on large sites, which could appeal to classic coworking users and larger corporates looking for flexible office space. IN FOCUS MUNICH Munich has a high concentration of ICT jobs, more so than any other German city. Many global tech companies use their Munich office as their German headquarters – Microsoft, Google, IBM, Alibaba, Apple and Cisco Systems. However, most of Munich’s ICT companies are micro-enterprises. Munich has a broad mix of new businesses. No industry dominates – there is a range of general tech companies, ecommerce, marketing, and FinTech start-ups. Munich’s coworking concepts are typical. Most operators promote their office space and the range of amenities they offer as a cost-effective choice. Few operators tailor their space to specific industries. IN FOCUS PARIS Despite being one of the largest real estate markets in the world, it has been easy to overlook Paris as a coworking market. However, Paris is starting to realise its enormous potential. Established global operators and new domestic brands have recently launched, building momentum for the coworking concept. Coworking would only need to be a small share of office space across the city for Paris to become a major European coworking hub. For example, just two percent of Paris’s office stock is equal to the entire office stock of our smallest key market, Tallinn. Paris’s city dynamics profile helps explain why it has been a laggard, but also hints at its bright outlook. Paris has always lacked a focus on startups and tech accelerators. These were important traits for early-phase coworking, where freelancers and start-ups were the bulk of demand. The high-growth nature of software development is starting to influence a wider range of science, tech, engineering and mathematics (STEM) businesses. This aligns with Paris’s traits – over 4.2m people have a tertiary education, or are employed, in science and technology across the wider Île-de-France region. Paris also has examples of classic coworking space, including large sites. Station F is a 34,000 sq m campus with over 3,000 desks for start-ups. The operator actively selects start-ups for their support programs, as well as hosting events and workshops. IN FOCUS STOCKHOLM Stockholm is an established tech hub. Many of the early start-ups have outgrown the domestic market, either bought by global rivals or moved their headquarters (King Digital, Mojang, MySQL, SoundCloud). Some still have their headquarters in Stockholm and list on a foreign stock exchange (Spotify). IN FOCUS TALLINN Tallinn has been a leading example for digital innovation for some time thanks to the Estonian government’s e-Estonia initiatives. The strong links among the government, universities, accelerators and businesses has created a tech-focused city. Its tremendous success stories include billion-dollar companies Skype, Playtech, TransferWise and Taxify. While Taxify is still based in Tallinn, the others have headquarters elsewhere. But the next generation of start-ups are coming through vying to be Tallinn’s next “unicorn” company. The curation of tech companies has led to a natural growth in coworking demand. Operators tend to be small and limited to a handful of sites. But the quality of the space offered, including the digital infrastructure, is high by international standards. Tallinn’s story is proof that small markets can be at the forefront of office space innovation. Its city dynamics profile shows the outsized share of entrepreneurial activity, start-ups and tech employment for such a small real estate market. WHAT’S NEXT? Our European Coworking Hotspot Index adds a twist to the traditional office market hierarchy. Tallinn can compete with Europe’s largest cities for talent. Stockholm, Dublin and Copenhagen pushed Berlin and Munich out the top five. However, the top ranked cities are familiar. Paris, ranked second, has enormous potential, but London is the leading coworking market in Europe. While coworking and flexible workplace is generating consistent headline attention, our analysis shows every city is different. Many coworking operators started with the simple aim to create a place for like-minded people to work collaboratively. Some saw their role as a generalist property owner, offering an alternative to home offices and working in coffee shops. Whether intended or not, they offered an alternative way to rent space. Renting a desk month-by-month keeps users’ costs manageable and bundling services into the price is convenient. Meanwhile, other operators took a more specialist role. Some aimed to appeal to tech or creative fields, acted as a host and put themselves at the centre of the fastest growing industries. These operators have expanded their services to include business administrative support and some have developed successful corporate event businesses. Most operators stop short of the full services provided by accelerators, such as start-up finance and coaching, where rental revenues are secondary to stakes in start-ups and intellectual property. Looking ahead, we believe both approaches – generalist and specialist – will grow. As the more generalist operators fine-tune their offer as a cost-effective and flexible way to rent space, they can roll-out their format across Europe. The operators who pair this generalist approach with an eye on concierge/hospitality level services could certainly support higher user satisfaction, retention rates and overall more durable demand. The real estate industry has a keen eye on how far this model could permeate into the traditional lease market. Further, companies reporting under International Financial Report Standards (IFRS16) may want to use coworking and flexible workspace to reduce their lease liabilities. The more specialist approach is harder to scaleup across cities. But scale can come by running larger sites. The growth in tech justifies this move. And as technology infiltrates finance and life sciences to feed the growth of FinTech and MedTech, coworking space could increasingly take the form of research centres and science parks as much as office space. Irrespective of the choice of business model, the growth of coworking is forcing operators and landlords to re-think how they design and fit out traditional office space to better accommodate changing tenant demand. We believe the most successful coworking strategies will focus on European cities for their distinct factors, and our research is a nod in this recommended direction. 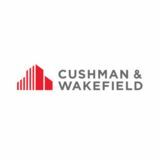 ©2019 Cushman & Wakefield. All rights reserved. The information contained within this report is gathered from multiple sources believed to be reliable. The information may contain errors or omissions and is presented without any warranty or representations as to its accuracy.